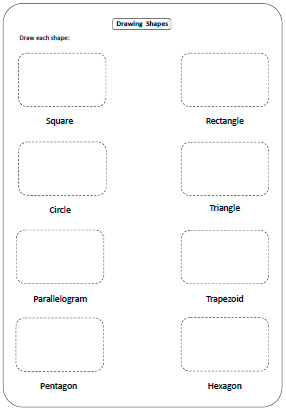 Here you find a lot of basic 2D shapes worksheets for kids under grade 5. 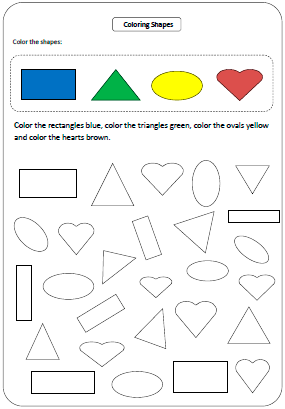 It contains coloring shapes; identifying shapes such as circle, triangle, oval etc. 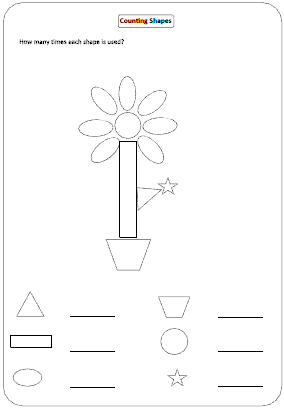 ; display charts and other shapes activities. 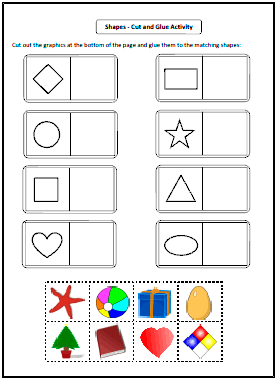 Each worksheet has collection of shapes. 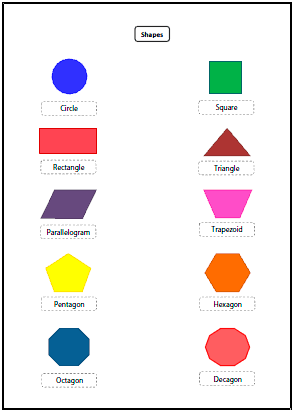 Identify the shape you have asked to choose and color every similar shape. Each chart contains one colorful shape with beautiful pictures around the shape. It is a combination of more shapes in single chart. 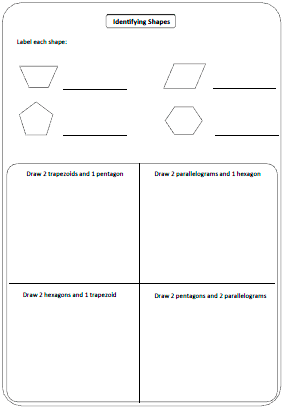 Cut out the graphics at the bottom of each worksheet and glue them to the matching shapes. 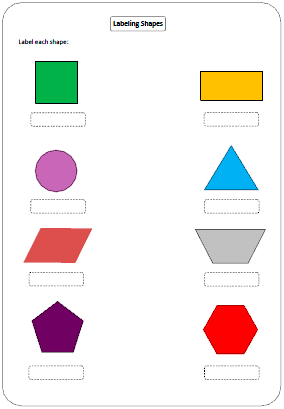 Label the shapes and draw related real life object for each shape. 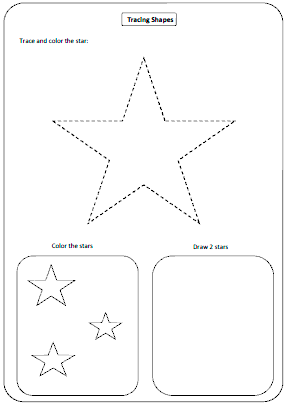 Motor skill worksheets for preschool and kindergarten kids to learn basic shapes. 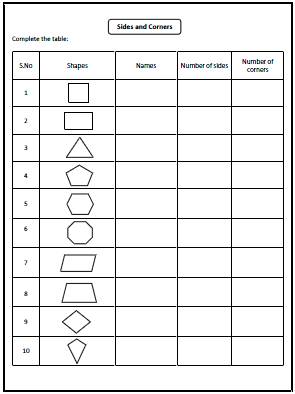 Label each shape and draw the listed numbers of shapes. 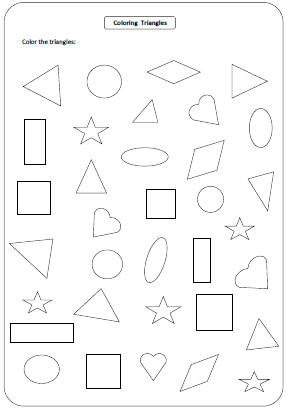 Identify the name of each plain shape. 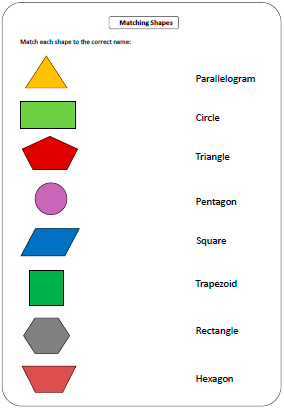 You have same set of shapes in two columns with different sizes and colors. Ask the kid to match the similar shapes. You have shapes drawn in one column and the names in another column. 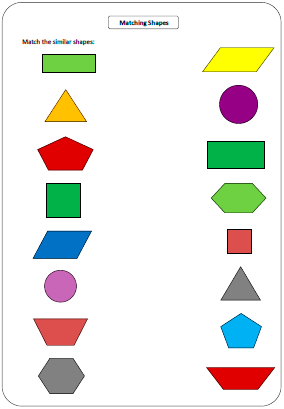 Match each shape to the name. 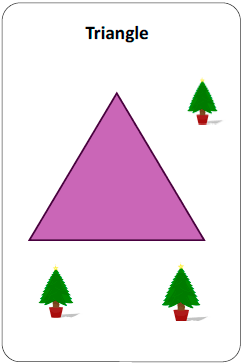 Draw the shape in each box according to the given name. Each graphic is a combination of different shapes. Count how many times each shape is used in the graphic. 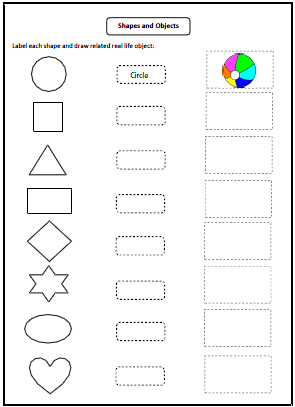 Simple shapes worksheets that help you practice with number of sides and edges of standard shapes.